Recently, I asked leading experts within the Meditation space for their thoughts, expertise and guidance relating to the frustrations most beginners face and the solutions they suggest to help overcome such struggles. Before I share with you the thoughts of our illustrious leaders, I must first extend a huge thank you for each and every person who has kindly contributed to my research. I am extremely humbled for the time and efforts that they have awarded me in my quest to educate you on the “Benefits of Meditation”. I ask YOU to pay them the same respect and gratitude by visiting their websites along your journey to a more fulfilling and enlightened existence! There’s no quick fix but a lifestyle change that can overwhelm many…be sure to read my article You Cannot Learn How to Meditate if You Don’t Know What Meditation Is…for further insight. The project will be an ongoing, growing journey as I receive more answers from other leaders in the Meditation space…FOR NOW and in NO apparent order…ENJOY!!! 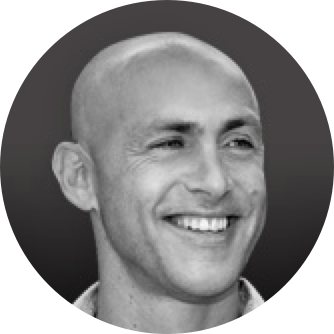 Andy Puddicombe is a meditation and mindfulness expert. An accomplished presenter and writer, Andy is the voice of all things Headspace. At Headspace we see meditation as both a practice rooted in ancient history and a topic of modern science. We recognize that the only way to know if we are achieving our goal of improving the health and happiness of the world is to measure it. “By far, the largest struggle that beginners face is; progression. While practicing meditation, it is completely normal to feel as though you aren’t progressing. But we want to try and let go of the worry tied to your meditation progression, as the only goal to meet here is to become comfortable with your own mind. Once we start telling ourselves that we “should be here” or “should be feeling this way”, we start doubting ourselves. Not seeing noticeable progression then causes us to become worrisome, and lose motivation towards meditating every day, but it shouldn’t. Taylor H. (Employee at Headspace) … totally agree with Taylor steer away from “results” and focus more on being in the “moment”. “One of the most common problems when meditating is sitting there listening to your head telling you that you can’t do it or that you are doing it wrong. Adrian – LoveLifeLiveNow – The babbler, the mind chatter, is difficult to master but if you heed Adrian’s advice you take away the PAIN of doing and turn it into PLEASURE of the challenge. Synchronicity High-Tech Meditation was created by Master Charles Cannon (a world renown modern spiritual teacher.) Synchronicity provides a novel way to achieve balance, wholeness and fulfilment in a fast-paced Western lifestyle. “People often ask us… What are the best ways to meditate, or what are the best meditation techniques for beginners? At Synchronicity Foundation, we teach a modern form of meditation called High-Tech Meditation®. It creates balance between the two sides of the brain. The result is relaxation and the experience of more-expanded states of awareness. Studies show that this form of meditation is easier for people who live a dynamic modern lifestyle. Synchronicity – High Tech Meditation – For a long time and especially during my early initiation to meditation I used “High Tech” music, binaural beats, guided meditation whatever was available I tried it…in time you eventually find/discover/determine what works for YOU! Tobi at Phuket Meditation Center – Absolutely, we live in an age where we are all in a hurry to get somewhere without embracing and enjoying the journey. Unfortunately, as great as the internet is for sharing knowledge, experiences and connecting it has also opened up a whole new “DIY” world….for better or worse…. Tara Brach,TaraBrach.com – Tara earned a Ph.D. in Clinical Psychology from the Fielding Institute, with a dissertation exploring meditation as a therapeutic modality in treating addiction. Working as both a psychotherapist and a meditation teacher, she found herself naturally blending these two powerful traditions—introducing meditation to her therapy clients and sharing western psychological insights with meditation students. “There’s no one style of meditation that is “best” or fits all people. Give yourself the gift of practicing every day, even if it’s for a short time. You are entering a path that has served the hearts and minds of millions of people from all parts of the world. May you discover the blessings of open-heartedness, insight, healing and freedom! (Your) mind is always busy, lost in thought. How do (YOU) quiet it? Tara Brach – tarabrach.com – “give yourself the gift of practicing everyday” – This is the key to experiencing even the most profound experiences meditation has to offer..but life unfortunately gets in the middle of good intentions and when it does don’t stress it just make a point of getting back into the routine…back into forming that “HABIT”. “Two of the most common frustrations is confusion about the practice, and difficulty in creating a daily meditation habit. To overcome the confusion part, it’s helpful to learn meditation from a good teacher, blog, or online course -one that will clarify things for you, show you the big picture, and really help you understand what meditation is about, and the mechanics of it. Lynne Goldberg – yes Lynne ultimately it’s as simple as that…well done! “The meditators preconceived ideas or expectation of results not matching the experience is the most common cause of frustration with all the so called techniques of meditation. Mindful is a mission-driven non-profit. We’re dedicated to inspiring, guiding, and connecting anyone who wants to explore mindfulness—to enjoy better health, more caring relationships, and a compassionate society. Mindful is the voice of the emerging mindfulness community. We’re the place to go for insight, information, and inspiration to help us all live more mindfully. Is there a wrong way to meditate? A right way to meditate? People think they’re messing up when they’re meditating because of how busy the mind is. But getting lost in thought, noticing it, and returning to your chosen meditation object— breath, sound, body sensation, or something else—is how it’s done. That’s about it. If you’re doing that, you’re doing it right! Mindful Staff … thanks all at MIndful – we humans tend to complicate the simple, I guess it’s our way of trying to parade our intelligence, simple can be achieved by all, complicated is for the selected few…to figure out??? Again, my sincere thanks and gratitude to those above who have taken the time and effort to share their knowledge, experiences and wisdom to help YOU fight through any obstacles and challenges you face as beginners learning how to meditate properly.